Carry one or more kayaks inverted on the crossbars (crossbar padding/cradles are not icluded with trailers. 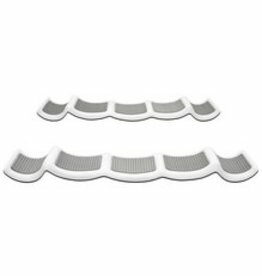 For the Adventure Island, Tandem Island or Pro Angler, add the custom designed hull cradle sets. 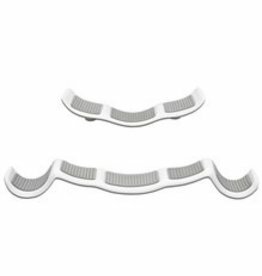 These are form fitted and padding covered. 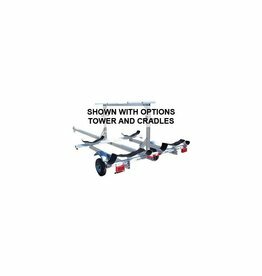 This Hobie trailer cradle set is specifically designed for the Hobie Tandem Island. It allows you to leave the amas and akas attached to the kayak during transport. 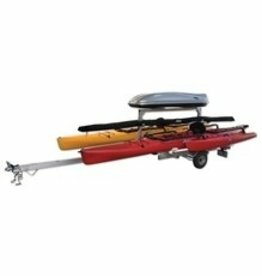 Trailer creadle set designed specifically for the Hobie Island. Allows you to leave the amas and akas attached to the kayak during transport.